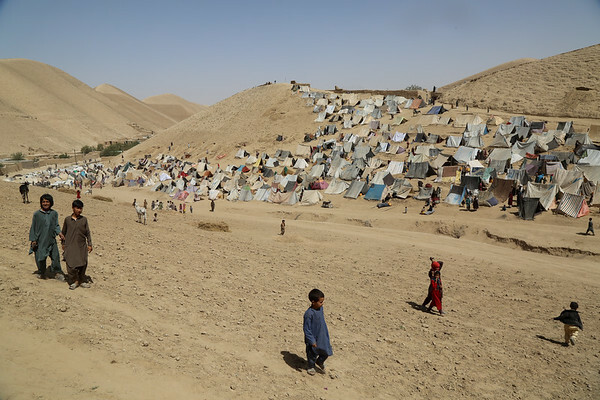 Jar-e-khoshk IDP settlement located some five kilometers out of Qala-e-naw city. Majority of the resident fled drought from a different part of Q-i-Naw city. The families interviewed said they have come to get assistance. The have put their tents on steep hills and have newly moved and had their livestock with them.